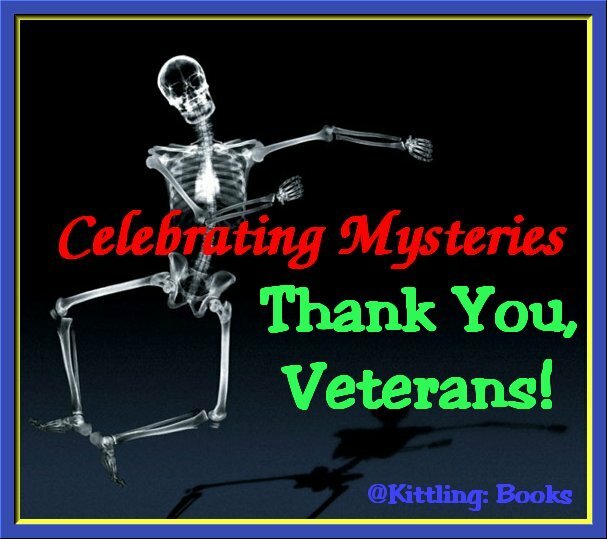 Celebrating Mysteries wraps up the month of November with a look at three authors who write mystery series that feature Army veterans. My family, too, has Army vets-- like my Cousin Charlie who served in Desert Storm. It's easy to forget what these soldiers and their families have sacrificed for us. They are the latest in a long line of brave people who have fought for the freedoms we take for granted. Before I go off on a tangent, let's start taking a look at the three authors I've chosen to feature this week! Martin Limón joined the Army at age seventeen and served briefly as a reporter for the Pacific Stars and Stripes in Seoul, Korea. During five tours in Korea, he studied the language and traveled the country from one end to the other. 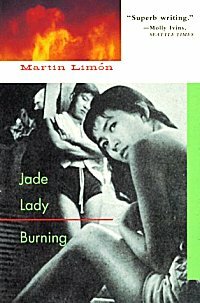 His first novel, Jade Lady Burning, was selected as a Notable Book of the Year by the New York Times, and after reading it, I can see why. His series features George Sueño and Ernie Bascom, two military police officers in the Seoul, Korea of the 1960s and 1970s. The series currently numbers seven, and the first three books are: Jade Lady Burning (1992), Slicky Boys (1997), and Buddha's Money (1998). George and Ernie pal around as military investigators for the Eighth Army in Korea, making daily visits to Itaewon for bars, booze, and "business" women. When an American serviceman apparently murders a young Korean woman, they use their unusual contacts to find clues but stumble on evidence of a conspiracy aimed at grabbing millions of dollars in army contracts instead. Limon's clipped narrative style fits the military life he describes and the duo's methodology as well. A competent and promising first novel with a unique setting. 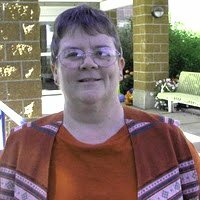 Sharon Wildwind started reading mysteries at the age of twelve and found inspiration in the stories of Sherlock Holmes and Nero Wolfe. 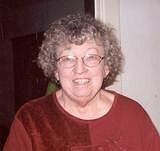 She served for a year as a nurse with the U.S. Army in Vietnam. 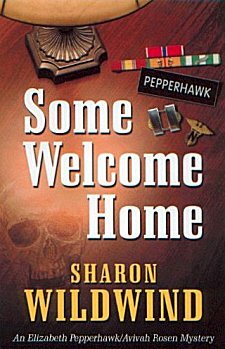 Sharon's mystery series features Elizabeth "Pepper" Pepperhawk, an Army nurse captain returning from Vietnam, and Avivah Rosen, a military police captain, in the early 1970s at Fort Bragg, North Carolina. There are currently four books in the series, and the first three are: Some Welcome Home (2005), First Murder in Advent (2006), and Soldier on the Porch (2007). Some Welcome Home has been languishing on my wishlist, so I need to find a copy soon! Captain Elizabeth Pepperhawk survived Vietnam, but will she survive Fort Bragg? Whoever dressed a body in a World War II uniform and put it in her bed in the Transient Officers Quarters wants to shorten not only her career, but her life. The Army's Criminal Investigation Division identifies the victim as Dermid Hagan. According to Army records, Specialist Hagan died in a traffic accident in Saigon, two years earlier. Pepper becomes friends with her neighbors, Avivah Rosen, a military police captain, and Benny Kirkpatrick, a green beret. They all have problems with the Army. Pepper has a drinking problem acquired in Vietnam. Avivah's repeated requests for a position in Southeast Asia have been turned down because she's female. Benny loves a woman whose husband is missing in action. The three friends band together to help one another survive and to investigate the murder. They soon discover that Womack Army Hospital holds more than one secret . . . When Pepper persists in asking too many questions in the wrong places, she places several people in danger. As the investigation spins out of control, and with Pepper's life at stake, Benny and Avivah must work together to catch a determined, cold-blooded killer who has Pepper in his sights. M.E. (Mary Ellen) Cooper lived most of her life in Stillwater, Oklahoma. After being a locksmith, running a motorcycle dealership for over twenty years and raising eight children, she was ready for retirement. However she wasn't used to so much time on her hands. After trying calligraphy, cake decorating and flower arranging, she was encouraged by the president of the local writers' group to join them and give writing a try. Once she started, she never looked back. 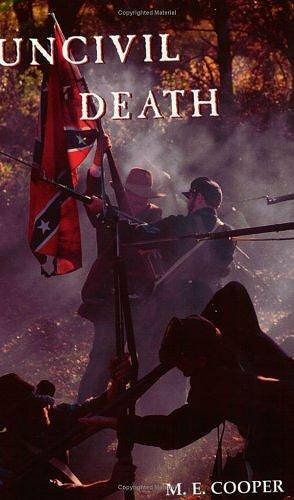 She wrote two books featuring Confederate Civil War General W.W. Loring in 1862 Virginia that I want to read. Loring is an actual historical figure who didn't like Stonewall Jackson much. Cooper's research and storytelling capabilities are praised in both books, Uncivil Death (2001) and Uncivil Death in Norfolk (2004). Confederate General W. W. Loring's troops are camped near Winchester, VA, in February 1862 when a soldier is murdered. When General Loring discovers the victim was a woman, he is horrified and determined to find the killer. The camp is not isolated. A troupe of entertainers, a photographer, a Kentucky doctor and an English noble arrive the night of the murder. General Loring must use all his wits, with the help of his aide, to seek justice. I hope you've enjoyed this month's celebration as much as I have-- and that you've added at least one author to your own wishlists. Join me next month for a whole new theme in Celebrating Mysteries! Finally, someone who writes about the forgotten war - Korea! He's going on my list immediately, along with the other two. Barbara-- He might talk a bit about that war, but the books actually take place in Korea during the time of the Vietnam War.